With cooking taking up to 6 hours, most of our wholesale customers simply haven't got the time, facilities or want to cook their own salt beef and this is where we come in. With our cooked Salt Beef, simply, slice and serve. Salt beef lends itself to re heating, It's a robust product that can handle the process well. 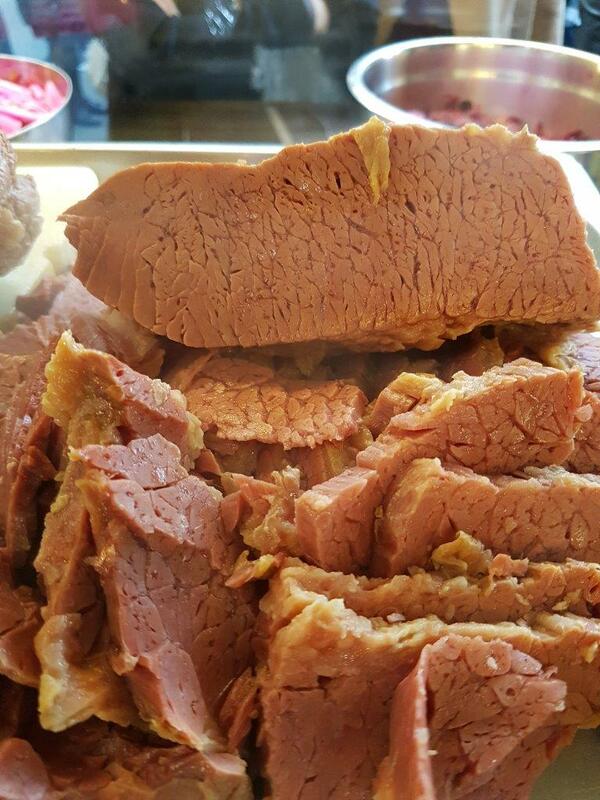 We use our cooked Salt Beef on our London stalls and are very proud of the product. We never just sell you the meat, instead, we're happy to help you with reheating and equipment advice and can even offer you a masterclass in how we work ourselves. If that all seems like hard work, why not let us cook the salt beef for you? Both cooked and raw Salt Beef briskets are always available and can be collected from our cold store at our Borough Market location once ordered. Please give us a call in advance to ensure we have sufficient stock. Click on the header at the top of the page to contact us.